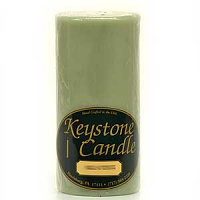 When you purchase candles made at Keystone Candle, you will be getting more than just an affordable product. You will be receiving quality candles made in the USA, by a family owned and operated candle company. If it has a Keystone Candle label on it, it was made in the U.S.A. Compare our candles prices, the way they burn, and strength of our scents with our competitors, you will not be disappointed. 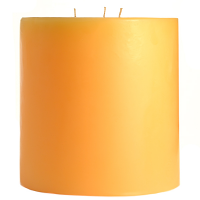 At Keystone Candle we manufacture a wide selection of candles using paraffin, soy, and palm waxes. We hand craft pillar candles, jars, taper candles, votives, tea lights, floaters, wax melts, and more. You will see that our huge variety of scented candles is hard to match with well over 100 different ones to choose from in the different lines. In addition, we also make unscented candles in a wide range of bold, vibrant colors for today's decorating trends. If you are looking for flameless candles as a safer option or candle warmers to freshen the air without an open flame we have those too. We also offer a lot of accessories and tools to help in creating beautiful displays and centerpieces for use in you home, weddings, and other events. Our colored unscented pillars are the perfect candles for weddings. We make many vibrant colors available in our unscented pillar candle line based on todays hottest decorating trends. 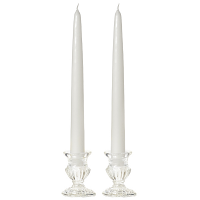 You can combine our unscented tapers with these pillars to make a beautiful wedding candle set. We wholesale unscented pillar candles to many florists, wedding and event planners, and catering companies. We make scented soy votives, soy tarts, and soy jars. Our 100% soy candles are made from soybeans grown in the United States. Our discount soy candles are offered at affordable prices without sacrificing quality or the level of fragrance we use. We are sure you will love these natural soy wax candles. Our scented votive candles are available in the largest variety of fragrances, we have over 100 scents to choose from. In addition we offer unscented votives in designer colors great for use in weddings and events. Votive candles should always be burned in a votive holder and will burn longest when the cup is just slightly larger in diameter than the candle. The unscented colored votive candles are made in 10 hour and 15 hour burn times. Unscented votives are best used at events where food will be served. We also have bulk votive candles available in white. We wholesale votive candles to many event planners and catering companies. 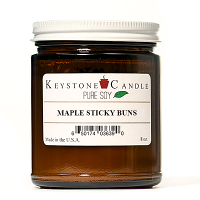 Keystone Candle is fast becoming a first choice as a wholesale candle distributor. We sell candles wholesale nation wide and have begun to wholesale candles to international companies as well. The reasons we have become a leading wholesale candle supply company is that we have low discount candle prices while maintaining a high standard of quality and friendly "human" customer service. Our jars are highly scented candles made using a blend of synthetic and essential oils which have all been hand selected. 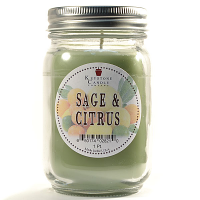 We make sure that your scented jar candle will burn correctly and and have the scent throw you have come to expect from a candle made by Keystone Candle. Our scented jar candles can be combined with one of our many warmers to make the perfect gift idea. We wholesale jar candles to stores nation wide at very competitive pricing and are currently accepting new accounts. Pillar candles are perfect for decorating your home because of the variety of color, width, and height combinations we offer. These strong scented pillar candles in many different colors so you are sure to find a match to your home decor. We manufacture the popular 3 x 3 pillar candles, large pillar candles up to 6 inches in diameter, and many sizes in between. These scented candles have fragrance and color the whole way through. Combine a pillar candle and candle holder for a unique gift. 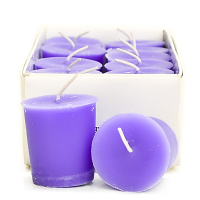 We wholesale pillar candles to our wholesale accounts both nation wide and internationally. Keystone Candle offers a very popular fundraising program for groups of all sizes. Our "jar only" program has helped in school fundraisers, church fundraising, and many others. Our candle fundraiser has been helping groups raise money for over a decade. If you are looking for a fundraising company to help you with your projects be sure to check out our candle fundraising program. 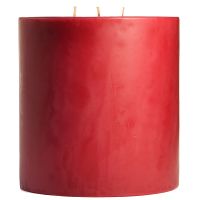 We manufacture beautiful dripless taper candles in vibrant colors matching todays decorating trends. Our unscented taper candles are used by many wedding decorators and catering companies to create beautiful displays. These taper candles are made by overdipping a white taper core in unscented colored wax. We have 5 different lengths available in our taper candle line. The glow of candle light from floating candles reflecting off of the water is a beautiful sight. Whether you are using these candles at home or for a special occasion, floaters are a perfect fit. Our cake candles are one of our most unique candle lines. The cake shaped candles are scented all the way through and hand crafted with multiple layers consisting of a solid core, lumpy outer coat, all saturated with scent and color, and a drizzled icing finish. We offer our cake candles in some of our best selling food fragrances. Wedding cake candles are one of the top sellers in this line. 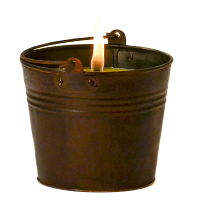 We make scented candle tins that are ideal for candle lovers who are on the go. Our candles in tins come in 4 oz and 8 oz sizes so they can be easily packed away to take on trips. Travel candle tins are perfect to use as wedding favors, baby shower favors, and other unique gift ideas when you combine them with our personalized label service. We wholesale candle tins to many of our accounts nation wide. These pie candles look amazing and each layer is highly scented. Our apple pie candle has even been mistaken for real pie as someone tried to cut into it while it sat on a dessert table. Pumpkin pie is the newest addition to our pie line and has the same great fragrance as our best selling spiced pumpkin candles. This candle line has been a huge success with retail and wholesale customers a like. Glow bowls are a unique product that is inexpensive and does not require an open flame to use. The scented gel crystals are warmed by a low watt light bulb which releases the fragrance into the air. The glow from the glow bowls is beautiful as the light shines out through the colored gel. Glowbowl fragrance systems make a perfect gift. We hand pour wax tarts and square soy wax melts that are for use in tart warmers. 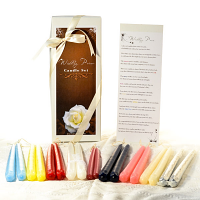 Our scented wax tarts contain the same great fragrances as our other scented candle lines. These are a nice item to use with electric wax warmers in rooms like bathrooms and small bedrooms because there is no open flame. We carry tealight candles in a wide variety of fragrances and colors. The scented tealight candles come in boxes of 10. Tealights have a burn time of about 4 hours which makes them a nice candle to use for short time periods. For large occasions we have white unscented bulk tealight candles in cases of 500. 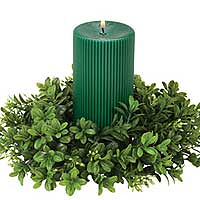 If you enjoy using pillar candles to decorate with then be sure to check out our line of pillar holders. We have a nice variety of pillar candle holders ranging from simple glass plates to rich looking pedestal pillar holders. These discount candle holders will not only help protect your tables from heat damage but also add beauty and elegance to your candle display. Everyone needs candle tools to maintain their candle products. The three most basic but necessary candle supplies are a candle lighter, a wick trimmer, and wax remover. Jar holders are a very nice addition to have when burning jar candles. Besides adding style and design to your candle displays, the jar candle holder will help protect your table surfaces from heat damage. Taper candle holders are a must when burning tapers. We carry some inexpensive glass taper holders ideal for using at wedding receptions and banquets. Our metal taper candle holders are available in a brass or silver finish which make a very nice display. 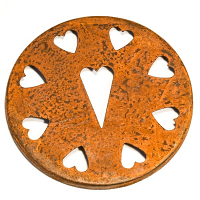 We carry a diverse line of votive candle holders. Our votive cups combined with our votive candles look beautiful when surrounding a larger candle display. Votive candles should always be burned in a votive holder as they are designed to completely liquefy.